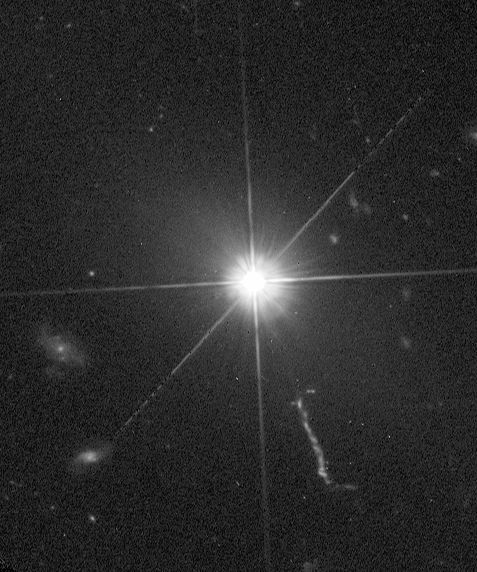 Quasi-stellar radio source. A galaxy with an extremely bright nucleus exceeding the brightness of other galaxies hundreds of times. Quasars are billions of light-years away from us and are a characteristic feature of the universe when it was much younger. Their energy source is doubtless matter falling into a massive black hole.